Why Isn't My Sequence Sending? Reasons behind why your Sequence might not be sending. If your Sequence emails are not going out, there are several things to check to confirm things are set up correctly. Have you added Subscribers to your Sequence? You can do this with Bulk Actions, or by Connecting your Sequence to a Form. Are your Sequence emails published? Make sure your Sequence emails are not still in Draft. This seems like a no brainer, but it's always a good one to check! Do you have any Forms, Tags or other Sequences excluded from your Sequence? Exclusions can be powerful, and are best used sparingly. If you would like to find out more about how to exclude Subscribers, go here. Is your Sequence set to send only on certain days? 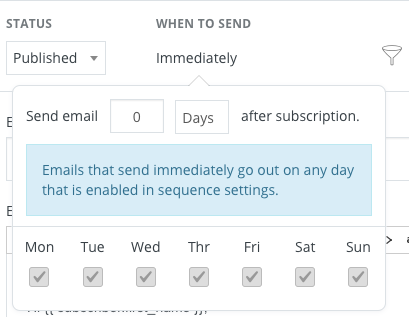 If your Sequence Settings are set to begin sending on Mondays and Fridays, but you'd like to send those emails on Thursdays also, then you'll need to be sure and add that day. (Or however you'd like your cadence to flow. Have your Subscribers completed the Sequence within a Visual Automation? 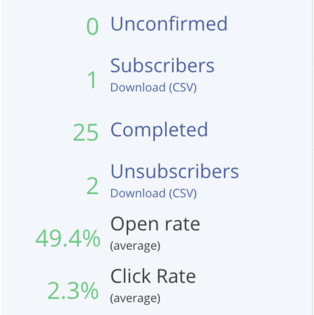 If your Subscribers have gone through all of the emails in your Sequence, within a Visual Automation, they will be marked as Completed, and will move on in the funnel. If you think you'll add more emails to a Sequence, and you'd like your Subscribers to hang around, (within a Visual Automation), simply add another published email, and set the sending time for that single email to 999 days. 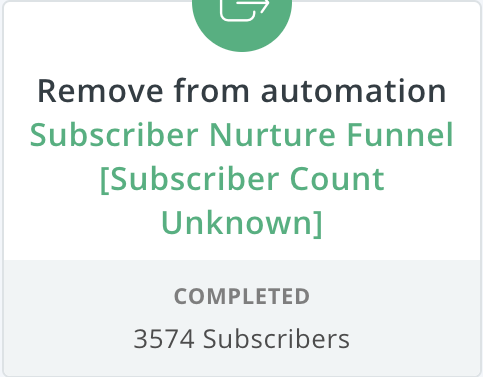 This will give you room to add on more emails without Subscribers completing the Sequence, and moving on! Have your Subscribers been removed from your Sequence, within a Visual Automation?